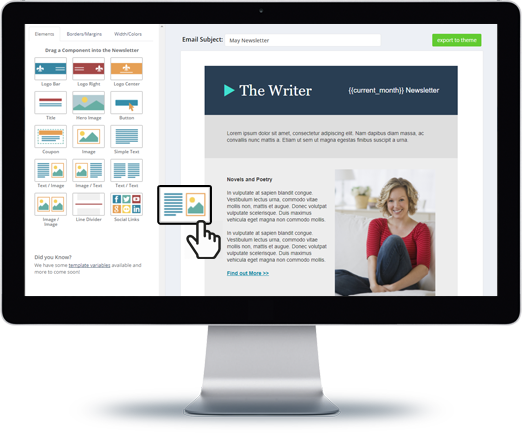 It's so easy to build beautiful, eye-catching email campaigns like a pro. Grow your subscriber list, build a community, and become a master at e-marketing! 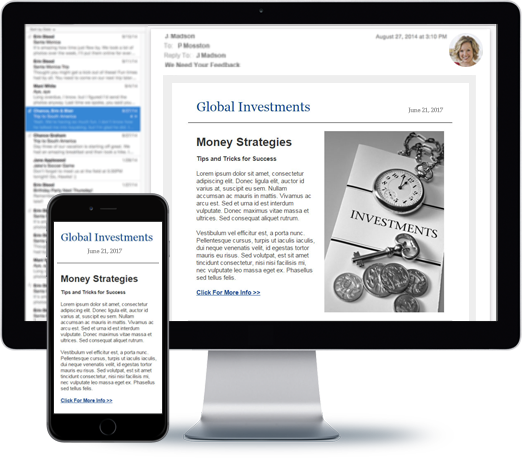 Build a Mailing List for FREE! Design your Newsletter or Mail-out just the way you like. You can easily modify images, fonts, colors, input styles, border styles, buttons and more. It's really easy. No advanced skills necessary! 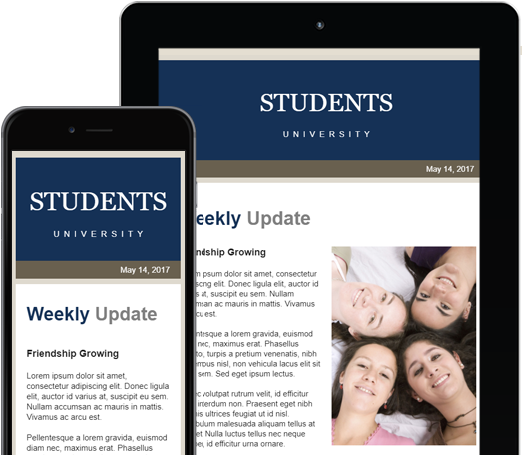 Your email campaigns will always be Mobile-Friendly, so they will be fit and scale perfectly in mobile devices. Your e-marketing will look great on phones, tablets and computers. Build from one of our templates, or just make one yourself, and use our massive free stock photo library. You will love all the user management tools. You can monitor your subscribers, tag them into categories, contact individuals or groups, download and sort data, and make changes with ease. 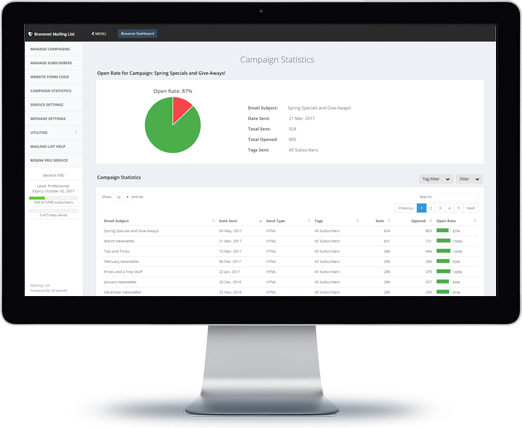 It's so easy to manage all your campaigns. Create drafts, make copies for future sends, check statistics, build, edit and send! Track your success in real-time. Campaign statistics provide insight to how many people are accessing each email campaign. Look back at historical statistics to gain insight on what appealed more to your subscribers. 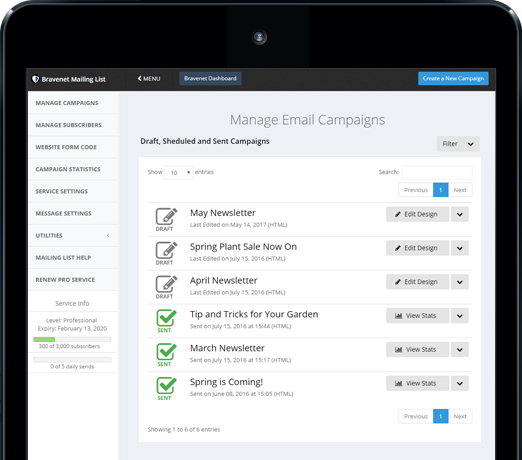 The Bravenet Mailing List Service is loaded with great email marketing features. 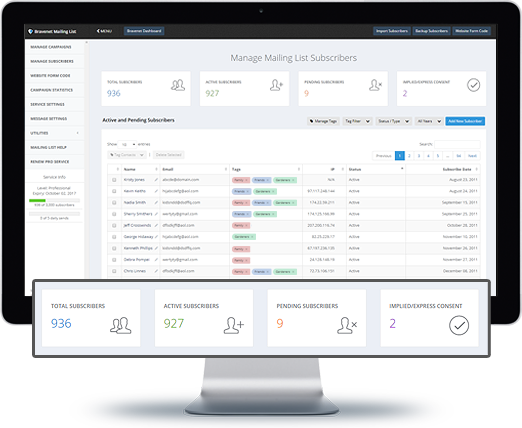 Enjoy scheduled sends, subscriber tagging and categorization for special campaigns, full subscribe and unsubscribe automation, and so much more! 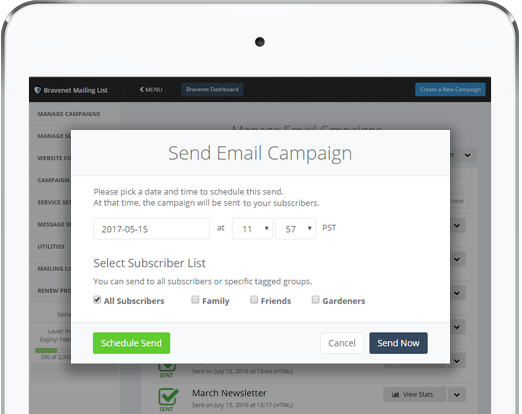 Build a subscriber list and send amazing emails and newsletters. Get a Mailing List. It's FREE!